It’s a quick project, and a great way to re-use all of those 2-liter diet soda bottles and milk cartons you might otherwise just toss out. I like to keep herbs in mine since stuff like basil and cilantro isn’t too happy about missing a watering and mornings can get a bit busy for me! 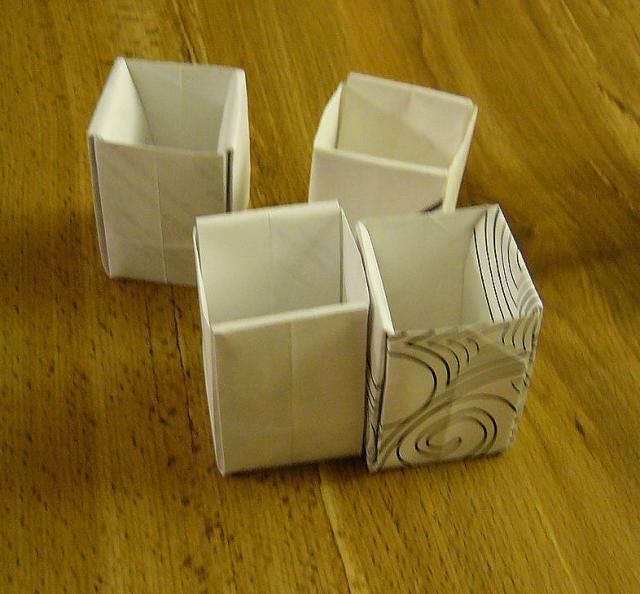 Tonight I’ll see if I can come up with a tutorial on how I make my origami seed starting pots that won’t confuse the heck out of everyone. I’d say that it’s around a medium difficulty level for someone who is familiar with the basic origami folds. They are a bit time consuming at 5-7 minutes apiece, even when you know what you are doing, but hey, might as well stay busy while watching re-runs of CSI, right? I made about 36 of these out of old newspapers earlier this summer to start up my fall pepper and eggplant seedlings. This entry was posted in Gardening, Projects. 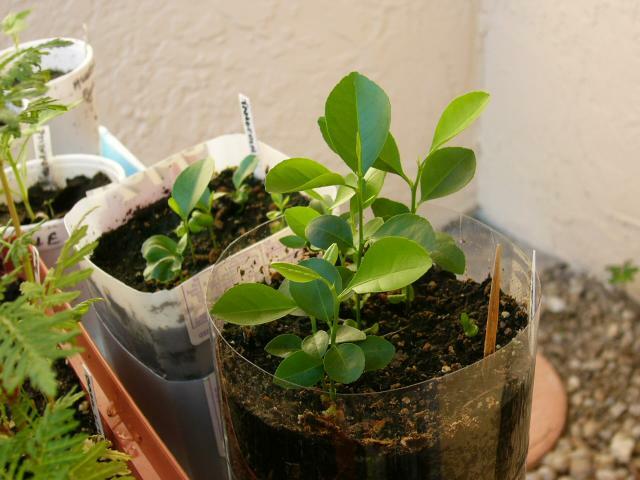 :em69: I’m going to try the pop bottle pots next time I start some seedlings, which should be soon. I remember doing the origami ones back in grade school, and growing string beans. I’ll see if I can go back in the cobwebs of my my mind and remember how to do those!